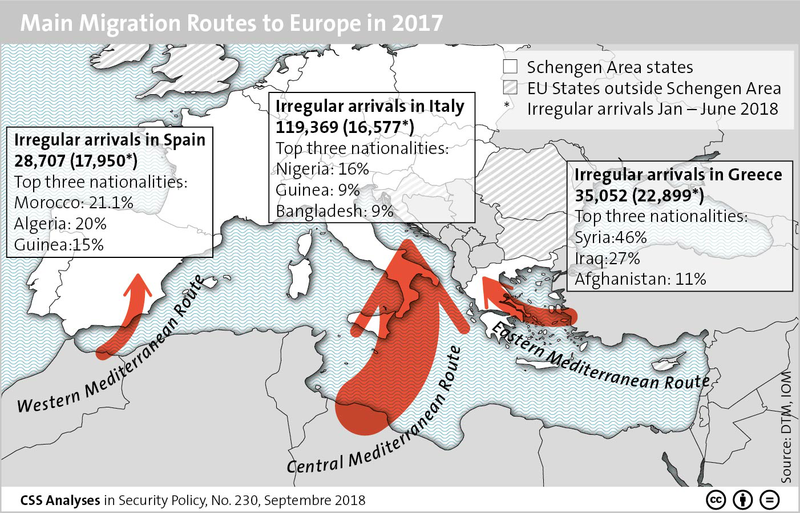 This graphic maps the main routes of irregular migration into Europe during 2017 and the first half of 2018 as well as the top three nationalities of migrants using these routes. For more on changing migration trends and EU migration policy, see Lisa Watanabe’s latest addition to the CSS Analyses in Security Policy series here. For more CSS charts, maps and graphics, click here.